Al Schmitt has become the latest entertainment figure to receive a star on the Hollywood Walk of Fame. One of the most celebrated recording and mix engineers in the business, Al Schmitt has won 23 Grammys – more than anyone else in his field. Barbra Streisand, Sam Cooke and Paul McCartney are just a few of the music stars with whom the music producer was worked over the course of a career that has spanned more than half a century. 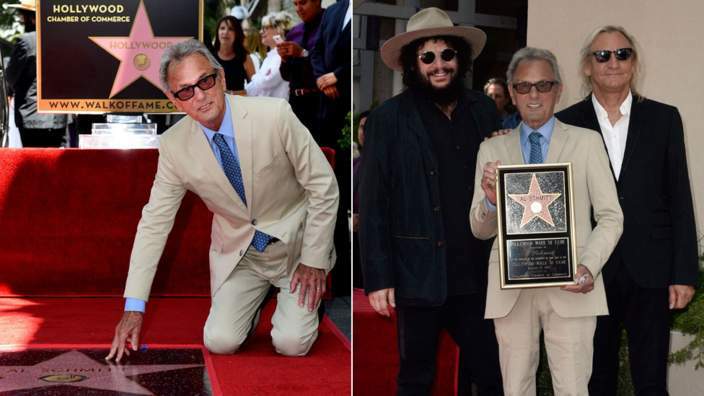 Al Schmitt, 85, was joined by producer Don Was and musician Joe Walsh at the dedication ceremony on August 13, fittingly held outside the Los Angeles headquarters of Capitol Records.